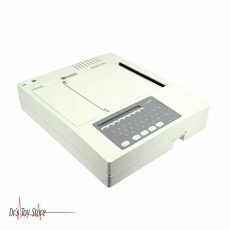 New and Used EKG-ECG Machines are for Sale at The Dr’s Toy Store. 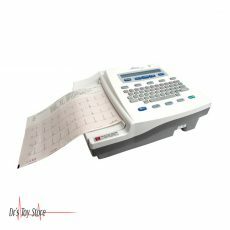 Buy EKG-ECG Machines now for the Best prices. 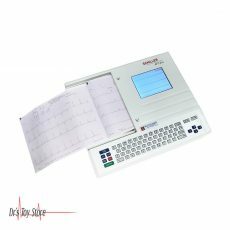 Electrocardiogram machines (ECG) and EKG machines have grown to be one of the most equipment which is used for the recording and measuring normal or abnormal heart-related problems. 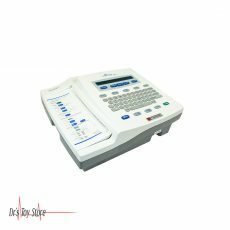 The use of EKG machines has become so common because of the wide spectrum of cardiac disorders detected by the ECG machine, as well as the ease and speed at which the test is performed. 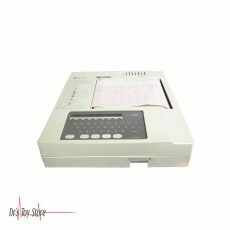 ECG machine has been used to detect the following disorders: valve disease, electrolyte disturbances, before heart attacks, coronary artery disease, thickening of the heart muscle, and a broad range other possible cardiac problems. 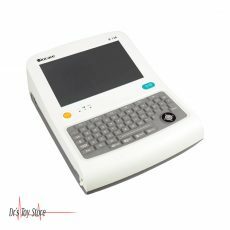 How do EKG-ECG Machines works? 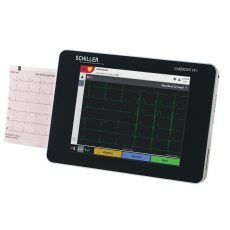 The mode of operation of an ECG machine is by recording the electrical activity of the muscles in the heart on a graph. Electrodes, usually around 10 of them, are attached to a person in different parts of the body, including the arms, legs, and chest. Some machines can have 12 leads of an electrode which are attached to the body. 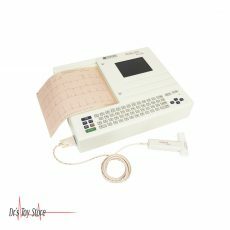 The electrodes then detect the electrical activity of the heart and send these signals to the ECG machine to record them on the graph. 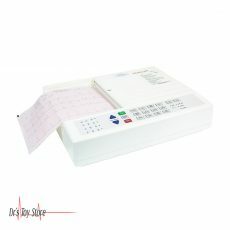 Generally, the ECG can perform a test in 5 minutes or less. 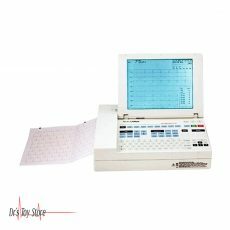 Physicians are trained to read graphs which are produced by an ECG machine and take into account the size and length of each individual part of the printout. 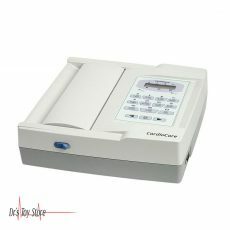 Where EKG-ECG Machines should be used? 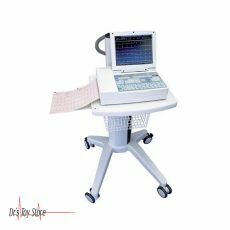 EKG machines, electrocardiograph machines are used to monitor the activity of the heart. The electrodes are placed on various parts of the body. Whenever a heart beats, it transmits small electrical signals which are absorbed by the pads and displays a waveform on the screen. The EKG shows these waveforms that are then analyzed as rhythmic changes in the body. 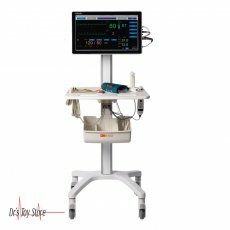 EKG machines are used in cardiology offices, hospitals, ambulatory surgical centers, and clinics. 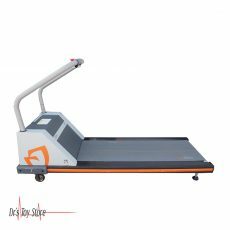 The ECG detects and enhances minute electrical changes in the skin caused by cardiac muscle depolarization at each heart rate. At rest, each cell of the heart muscle is loaded on the outer wall or cell membrane. Reduction of this charge to zero is referred to as depolarization, which activates the mechanisms of cells that cause its contraction. Amid each of the heartbeat, a healthy heart will have an orderly progression of the depolarization wave that triggers the sinoatrial nodes, which spreads out through the atrium, passing the “intrinsic conduction pathways” and then propagating all over the ventricles. 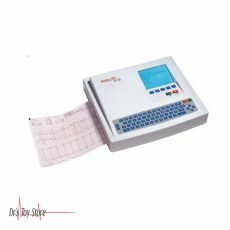 This detected by the EKG machine as tiny rises and falls of the voltage between the two electrodes placed on both sides of the heart that is displayed as a wavy line on the screen or on paper. This display is an indication of general heart rhythm and weakness in various parts of the heart muscle.